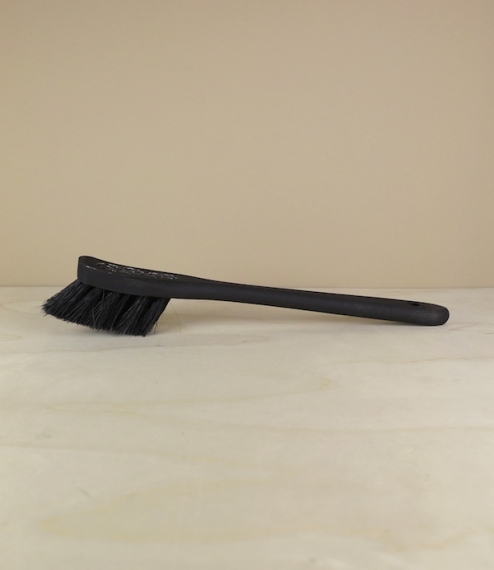 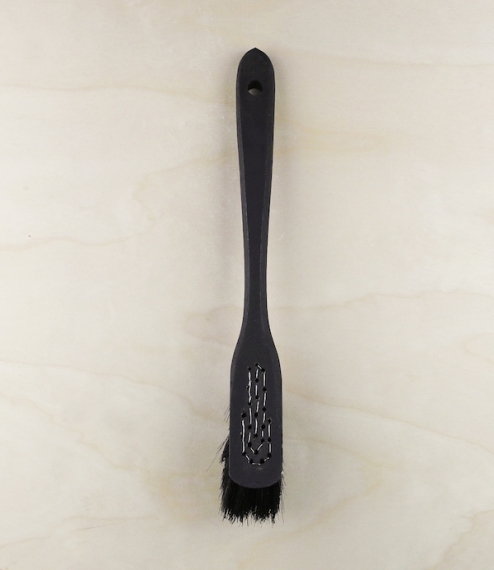 A hand bound dushbrush of blackened boreal birch stitched to 40% dark horsehair blend bristles by the crafts people of a Finnish visually impaired workers cooperative. 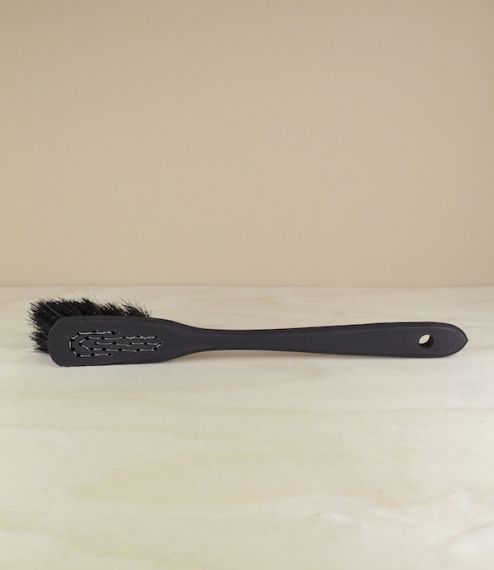 The blackening of the birch helps provide improved water resistance, as well as disguising any stains the wood might in time develop, whilst the horsehair blend stiffened and supported by hardwearing tritex gives a moderately stiff dish cleaner somewhere between our pure horse and tampico alternatives. 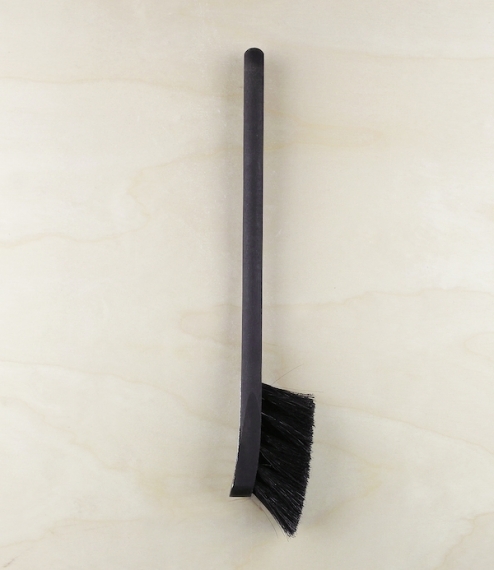 About 28cm total length.